It will have 4 player co op? Because when using zsnes is not possible, only using 2 computers with 2 people each one. bro I think u need works with Android, this SO movil need a znet soft. Linux, Mac, and Android support are not ruled out. But that's something for the future. After Z-Net 3 is finished and ready for Windows. I can say for now though that, at least I'm considering future multiple OS support in my design decisions. And I also do have to warn. Don't get your hopes up to much with multi-OS support. 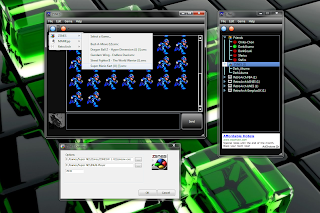 The emulators themselves would still need to support cross talk, like one person on Windows playing with another on Linux. I haven't researched that, but I don't think many emus used to support that. And now I think only a few do. And as for DruidVorse's question... I've decided to start ignoring that question. It happens WAY to often for a question that takes just a basic understanding of Z-Net to know the answer to.